How often did it happen to you that you were so enthusiastic about buying décor stuff for your house, like a lamp, a carpet or maybe a chair, only to be disappointed later when you reach home to find that the fortunate purchase of your doesn’t fit into the room? Argh, moment, isn’t it? Ultimately what you’re left to do is either return the item or choose to live with it anyway. However, technology has done enough good for people already and now in this arena as well, technology comes as your savior, offering new technological advances like Augmented Reality shopping apps. With AR apps, you can select colors for the interiors, create a model of your room, stage it with the furniture, and do a lot more. There are many of Augmented Reality shopping Apps and IKEA is one such app. AR app like IKEA enjoys a lot of prominence in this arena and is counted as one of the top AR apps for furniture online store. How Augmented Reality eCommerce Apps like IKEA can benefit your Retail business? Great promotional idea: AR technology is a huge success already and when you associate it with your business, it offers a natural inclination in the market. Additionally, you can find myriad ways to promote your products & make creative ads, like offer product-related information, display new products and provide 3D experience to the users. AR Shopping Experience: Augmented Reality Apps allow the customers to shop fearlessly like they get to buy furniture that suitably fits their homes. Like, users can place a cupboard in their room and then check where it would look the best. This way, the risk related to product return & logistical expense can be reduced. Find fan-base in the young audience: Business can successfully target young users with AR apps. This audience can be leveraged to bring in legit business to the enterprise. And unlike VR (virtual reality) apps, which need additional tools, AR apps are widely-accessible with there being myriad mobile phone users. Infinite growth: Technology like AR ensures infinite growth in retail businesses and allows them to be the brand that is loved by people and wins over the entire market. By offering your audience great shopping experience you can successfully lure them to buy your products & services. Broadcasting: With the use of AR tools, retailers will be able to display their products visually & interactively and this will be a motivating factor for customers to make the purchase. Like, a furniture store can offer its customers the actual view of how a bed table might look in their house. How does AR Shopping App like IKEA works? 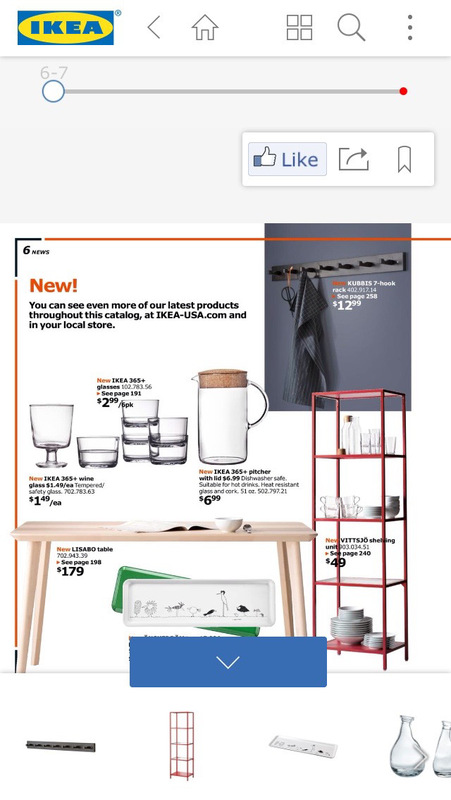 Once the app is opened, your phone camera focuses in on to an orange cross to the bottom-right of selected product pages. Users will find an icon on their device’s screen that provides them access to AR mode. Then, the app tells the user to choose the printed version of brochure & put it at the place where they desire to place the new furniture or the décor item. Now the roughly estimated dimensions of the chosen virtual furnishing are reliant on the size of this tangible, real-world catalog of IKEA. Users can browse the catalog, choose the furniture or décor item (maybe a table, chair, sofa or a lamp), then switch to the AR-mode and view it on their phone screen. These items to a certain degree are responsive to the environment. Augmented Reality Objects detects horizontal surfaces in the room, so they don’t roam around. As the camera kicks open, a product outline surfaces in the frame and the user can shift, rotate or even replace in order to make it appear right, prior to assuring choice from a scrollable list. Resultantly, the new furniture’s virtual version with room in the background can be viewed on the device’s screen. Next, let’s move on to technical parts and explore how SDK can be greatly helpful in the development of the augmented reality app like IKEA. Also prominent as the devkit, a software development kit comprises of an array of software development tools. This kit is useful for AR developers to create apps as SDK is helpful in simplifying coding-phase, mainly in the case of AR app development, as it can avoid the writing steps from the scratch. Kudan: This SDK is faster as compared to most frameworks and offers myriad of recognized images. Besides, it requires less memory storage for the libraries. Kudan can also be a good analog of two other prominent SDKs, Wikitude & Vuforia. However, developers must know that in certain areas, it is inferior to Vuforia. Besides, Kudan also lacks certain functionalities that Wikitude offers, for instance, it doesn’t offer cloud-recognition or geo-location. Vuforia: Considered to be most prominent SDK across the world, Vuforia provides robust & comfortable tools to the AR developers. It uses Computer Vision technology to enable developers to identify & track target images. Resultantly, the app can project 3D objects/media in the real-time. Besides, Vuforia offers one of the best features for minimal angles of the marker-recognition algorithm. And also has minimal requirements for tracker visibility of the overlapped targets. Other than that, its stability of the immovable & movable markers is considered as best among the other SDKs. It supports platforms like iOS, Android, UWP & Unity Editor. How to Develop AR furniture experience? You need to be aware of two critical elements while it comes to displaying objects in your own environment. The objects shall be placed on the floor or any other surface, so they don’t seem like floating in the air. The objects must be shown in the right size. Set up base info, like App name, bundle-ID, etc. Select a template for the industry you desire building your app for. Design your app with the use of CSS, directly in the browser with the inspector. Execute app test with the use of chosen SDK. App Customization: The most important feature of an AR app is visualizing products/objects in augmented reality on any of the mobile device. 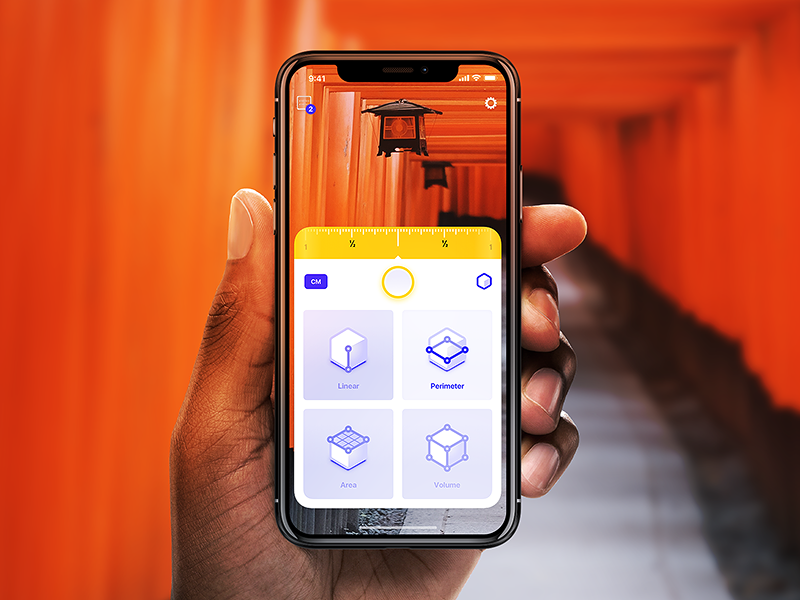 However, by customizing the app as per your requirements, the developers can also render items into 3D models for the users, create pre-sets, change user-interface, make changes to design, and a lot more. App CMS Customization: Developers often create a customized content management system (CMS) to ensure the app’s high-performance and the same can also be done for the Augmented Reality project. This will lend full-control in the way you desire, without any external support or services. Develop 3D models & upload to the CMS: It’s no issue if you don’t have virtual models of your products, as you can ask the developers to create a professional 3-D model in little time. Release Android & iOS app to stores: Once your AR app is ready, you can now log in to your app & demonstrate products in AR. Once, you are ready to release your app in the market, the marketing team will help you submit the app to the app stores, like Google Play & Apple Play store. Gyroscope-based AR: You can create an AR app is the simplest way by using the device’s gyroscope. It is learned that with the use of Gyroscope, the apps will be able to place virtual models around the user. Also, no SDK is needed for these simple features, like Vortex Planetarium – Astronomy app use the gyroscope to place stars, constellations & planets around a user. Here the average time needed is 150-250 hours. Location-based AR: It uses device’s data from Wi-Fi, compass & GPS to augment reality around a user by positioning virtual models, link, text info or media in the real world. It requires the user to be in the right location with a good internet connection so to offer the best AR-experience. Developers can be Wikitude to create such a feature. For instance, Pokemon Go app generates digital characters & places them in the physical environment, Flightradar24 helps in tracking planes in real-time. Usually, it takes around 400-800 hours to create this feature. Marker-based AR: You can also create AR app by using trigger-markets in the real world. Here, the markers can be anything, from simple QR codes, images, cards, icons to even movie posters. The user’s mobile or tablet’s camera will capture this kind of triggers and then the app will project a particular AR model or media onto it. These kind of apps are quite easy to create & integrate. However, here the most time will be spent in setting the triggers. Like, each trigger image is required to be designed, specialized, scanned & integrated into the AR app separately. How much does it cost to create an AR app? With AR apps usually involving 3D images & animation, so the main focus is going to be the production of high-quality pictures. It is vital that AR elements look natural & realistic to users and thus, you must find brilliant designers and 3D artists who are apt at image processing skills. Conclusion: If you wish to get an AR app for some serious business, then you should go for custom AR apps, as then free templates and ready-made solutions won’t be that helpful to you. Instead, you’d need a comprehensive development process. Even though custom AR apps are expensive but are one-of-a-kind, and hence they require the skilled developers, designers, 3D artists and a lot more time as well. Now it’s time that you get in touch with the Best AR Mobile App developers today itself in order to fill the missing spark in your business by getting an AR app developed.